Even in temperate climates, such as on our land in Cornwall, it is possible to provide fresh fruit all year round. Common fruits such as apples, for example, can be harvested in the autumn and, with the right varieties, can be stored until the following summer. 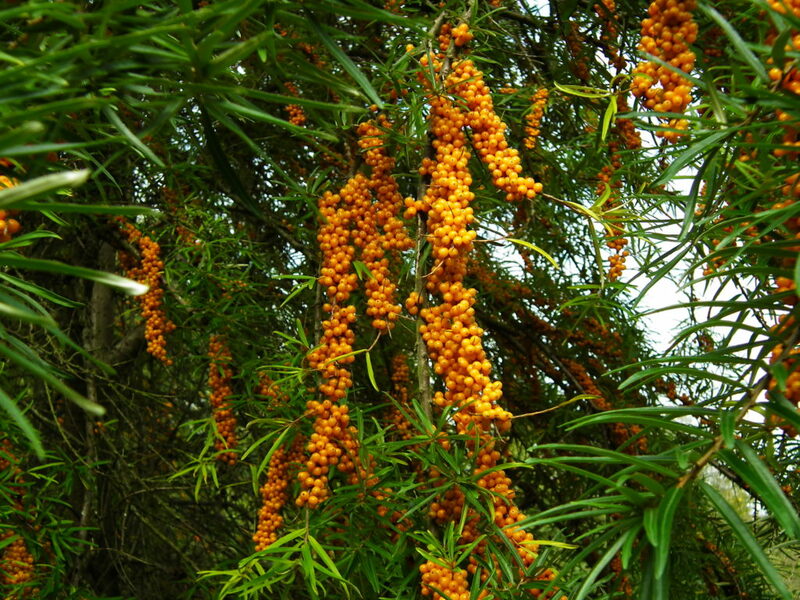 We do not focus just on these more common fruits, however. We can usually pick at least small amounts of fresh fruit in virtually every month of the year. As we move into winter so our fruit harvesting for this year is drawing to a close. 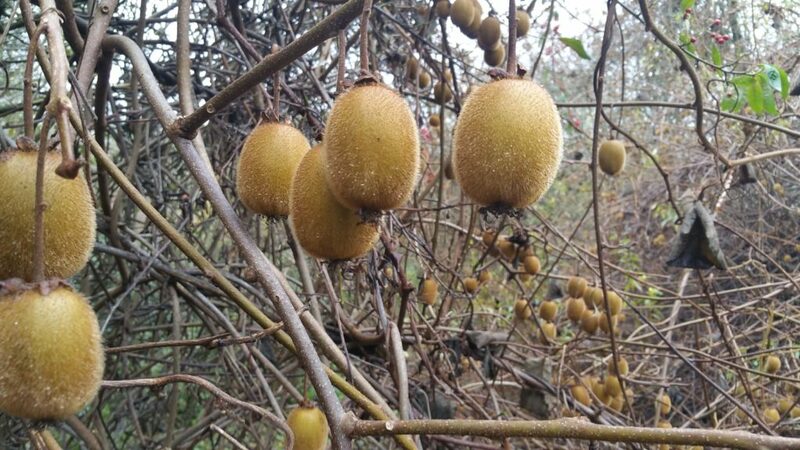 We have yet to pick the last of the apples and still have to find time for the kiwi fruits (a very heavy crop this year, which will ripen fully in store over the next few month) and will hopefully be picking Hippophae fruits until early February. The seasons run in circles though, and even as this year draws to its close we can already see the first signs of next year’s fruit harvest. 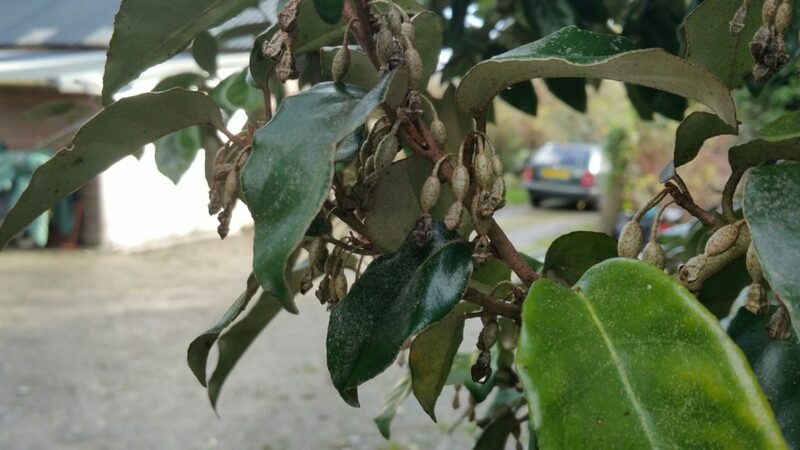 Our evergreen Elaeagnus species flower in the autumn and then slowly develop their fruit over the winter ready for us to harvest in the spring. This year, possibly as a result of the hot summer (oh, pleasant memories!) the potential crop is looking better than I can ever remember. With luck, by the end of March, we will be eating these fruits and their edible seeds. This entry was posted in Uncategorized on December 1, 2018 by kenfern.